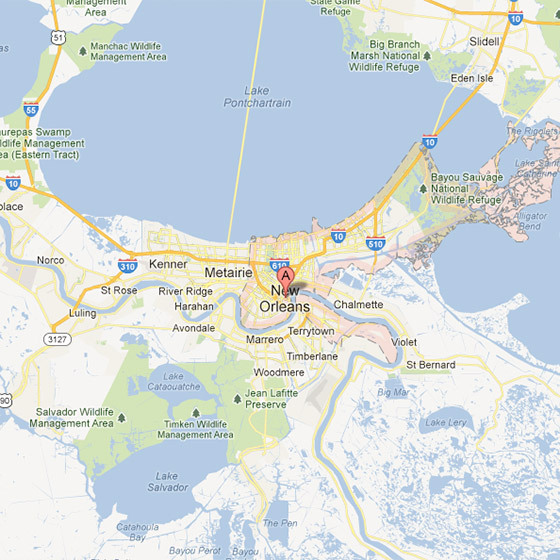 James Sutter, who does role-playing game design, totally does not believe in New Orleans. And really, who can blame him? So many things about this map do not make sense. Click through to read the whole thing … though I have to say, I don’t believe in that bridge either. I mean, seriously. Who would build that?